They Got Me Over A Barrel: Tied Publicans, Pub Tenants and Licensees: is THIS Happening to YOU? Tied Publicans, Pub Tenants and Licensees: is THIS Happening to YOU? If you're a tied tenant or a customer of a pub that's tied - you need to know about Licensees Supporting Licensees. It's a facebook forum of publicans - down to earth, sharp, regular people who work hard creating the social oil that keeps Britain's pubs running... if you recognise any of this you should join... it's a private group, for obvious reasons, by invitation only. Hundreds of licensees there and together it's a fantastic resource and friendship group... You can register your interest in joining HERE You need a facebook account to do this, sorry, I know plenty of people who hate FB but it really is the only way to get people together without costing huge amounts. If you don't use FB already then stop being stubborn, take the plunge, sign up to FB and put all your privacy settings on maximum for general public and APPLY to join LSL NOW! 1.1 Pub companies do not do what they say on the tin. My tied pub turns over £750,000 a year; almost four times as much as the national pub average. I am a model, multi award-winning, entrepreneurial tenant. Even S&NPC say this. This "success" is down to my own long experience in the catering industry, my personal flair, endeavour, vision, energy, hard work and substantial financial investment in "my own" business. S&NPC has not spent a penny on the premises I have owned a tied lease on for over fifteen years; In the next few weeks I will be made bankrupt with over £300,000 debts to Inland Revenue, business rates, my bank, lease hire companies, myself (the biggest loser) and to S&NPC, the pubco whose inabilities, intransigence and poor business practices created this hole. My suppliers will not be affected as my payments to them are all up to date. But eleven full time and five part time staff will lose their jobs and a local institution will come to the end of what would in free of tie conditions be a continuing business serving its community. 2.2 The tied pub industry is totally morally bankrupt at the top and that is why it has descended to the state of disarray that it's in. The people responsible for these events turn a blind eye because it suits them, their pay packets, their bonuses and their pension schemes. Simon Townsend recently told me "I may not be liked but I AM a gentleman". He's lying to himself, as does everyone employed by pubcos. It's the only way to work for them. 2.3 The behaviour of landlords who work this way is quite simply completely unacceptable in contemporary society. These Rachmanesque tales are the practices of early Capitalism unbridled. Elsewhere this could be described as entrapment into bonded labour through deception and misrepresentation. We hear news of people being brought into the UK illegally on the promise of getting respectable work cleaning homes or as nannies and being tricked into work in conditions of slavery. It makes headline news. In our industry it's accepted as pedestrian routine. 2.4 Bringing up "caveat emptor", as everyone does, to skirt around the true causes of serial business failure (churn) in the tied pub sector is wrong. It puts distance between the legally weak position of bankrupted lessees against the absolute wrongness of the behaviour directed toward them by their abusive landlords and is splitting hairs. Unemotionally and objectively, this type of professional behaviour is just very bad business practice. By no measure of contemporary expectations of professional standards in any area of commercial activity can this behaviour be condoned. 2.5 When property companies overstate income and understate overheads when marketing their buildings, as pubcos do all the time, it is misrepresentation pure and simple. Pubcos have been completely free to do this for the decades since they were established because there is no industry arbiter, no scrutiny, no objective overview no one to pull them up and make them pay for their essentially illegal activities. 2.6 The tied pub sector has been allowed to get off the hook of regulation for well over a decade beyond its natural life expectancy (the beer tie was supposed to wither on the vine by 1998) because politicians have been concerned not to compound the dreadful error of the Beer Orders and then being lied to by pubcos, the BBPA and most other bodies whose hands are in each others' pockets enough to be convinced that intervention would lead to the closure of even more pubs than are already being shuttered up forever all over the UK. 3.1 The story is mine but its pattern will be broadly familiar to Select Committee members who've read pubco inquiry evidence before. 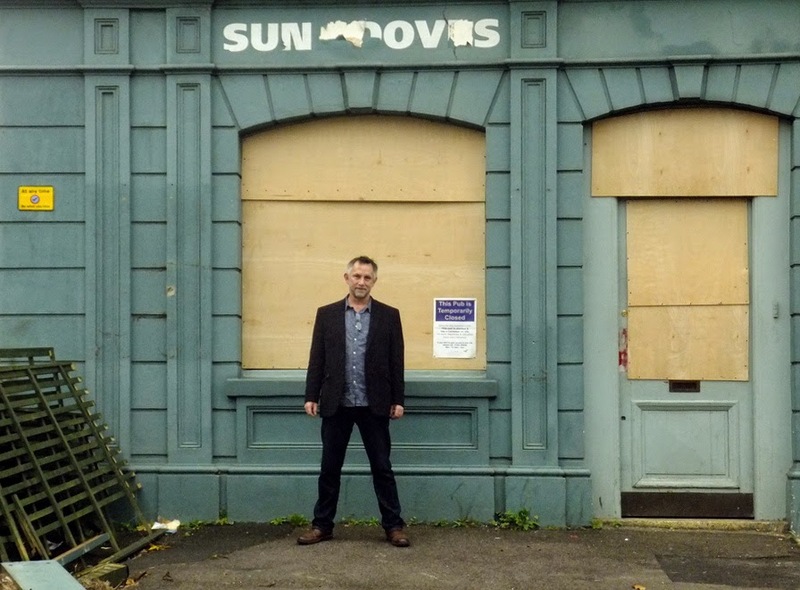 It's the story of thousands of tied tenants whose businesses and lives have been destroyed by the "tied business model" leaving a landscape of boarded up pubs in their wake. The pub industry is being bled dry while the nation looks on, unaware of the tawdry business reality that sits underneath the scenes of devastation of a significant part of our society's particular heritage. 3.2 I am about to be made bankrupt. On 28 June 2011 I am in court for a forfeiture hearing for my lease. I cannot defend myself in law; I cannot meet my rent demands anymore; my cash flow has run out; my business has been bled dry. This is the outcome of my 2005 rent review where S&NPC applied to increase from £54,000 to £96,000 when I argued vociferously, with open book accounting, that any increase at all would put me out of business. S&NPC simply ignored all my evidence, as do pubcos with all their tenants at rent review. Having almost been put out of business by my 2000 rent review where it went up by 68% I vowed that I would see the process through arbitration and to the bitter end, hoping against hope that a eventually sustainable rent would be settled on through the construct of the law and common logic. In the event the review was legally resolved in October 2008 and I lost, owing S&NPC a total of £126,000 back rent and legal costs. Going through arbitration cost me £47,000 and contributed to my current debts. 3.3 As with all tied lessees, my pubco earns more than I do out of my business. It has consistently taken well in excess of £150,000 a year while the paltry £9,000 income I paid myself at the beginning as a budding entrepreneur fell steadily as the pubco's rent and beer charges increased; unsustainably. I have not taken a salary from my pub for the last six years, since my last rent review, because there has not been any profit for me to draw on. The last rent review has put me out of business. 3.4 Pubcos do not support tenants at all. Pubcos' relationship with tied tenants is entirely adversarial. Evidence proves that Codes of Practice exist only virtually, to be downloaded in pdf and admired from afar. Try finding tenants who have a good word to say, or a good experience, about a relationship with a pubco. The only tenants who support pubcos cautiously are those who have so much to lose thy dare not be open about the reality. Typically these will be bosses of multiple operators who hold a lot of tied leases... their businesses are in such a precarious financial position that it is not in the interest of the pubcos to let them go down the pan. Otherwise support for the tie does not exist. In fact, contrary to all application of rational logic, pubcos actual practices, actions and inactions, contrive to force individual tenants out of business. At base this is why there are so many closed pubs all over the UK. 3.5 Below I indicate that S&NPC fails to comply with even a single aspect of their COP. I state with absolute conviction that my experience is in perfect alignment with that of lessees of all pubcos; even those cuddly "Family Brewers" who keep their head beneath the publicity horizon behave exactly the same way when dealing with tied tenants whose business is falling. Bad business practice, intimidation tactics and corporate bullying are routine in the tied pub industry. It is not complicated; It seems irrational and perverse but Pubcos behave this way simply because they can, they always get away with it; there is no overseer to bring them to account; when they are asked to account for their actions in front of government, Oft and so on, they are also asked to bring the evidence of their behaviour with them. Quite rationally, they only bring the packaging and never get out the contents for you to rummage through. COPs mean nothing; in practice they do not exist. 3.6 You will see that submissions from individual tied tenants are charged with emotion. Although they are recounting what actually happens to them their "evidence" will come across as being more anecdotal than as fact. Thus this evidence will be devalued and regarded as impossible to act upon. It will be in stark contrast to the evidence submitted by the employees of the pubcos and their indentured representatives such as BBPA. 3.7 The "evidence" put in front of the Select Committee by pubcos is considered as rational, objective analyses of their pub industry backed up by figures that contradict everything every individual tied lessee submits. This is because it's all made up. It is not reality, pubcos hold all the figures and stats for the whole industry, and they make them say what they want. Tenants have only their own experiences to recount and no way of verifying them with reams of stats. Tenants do not even have the resources or time to talk to each other on a regular basis to share information and experience. 3.8 The pubcos and their reps have suntans, they have pensions and company cars, they have weekends off, often abroad. They have evenings to themselves and their families, they have time to reflect and make decisions about how to invest their earnings, where to go on holiday and how to spend their bonuses. They are paid to write their BIS submissions during working hours and they have secretarial help, legal teams and IT departments to draw upon whenever they feel the need for support. 3.9 It is impossible for a tied tenant to write a submission such as this without expressing emotion. When you are a tied tenant You are broke. You are overworked. You have emotional problems brought on by stress. You have sleepless nights. You feel threatened. You are scared. Your life, your livelihood, your family and your closest relationships with significant others are on the line. You are depressed. You can see no future. You have to write your submission when your head is full of the above, between shifts, after mopping the floor last thing at night. After taking in the beer delivery at 7am and cleaning the toilets at 8am. And you have no one to turn to for advice about how to write it. You are isolated. You're on your own. 4.1 Code of Practice. Objectively S&NPC's COP is a convincing document. 4.2 The S&NPC COP has never been given to me, or sent to me by post; I found it on the BII website; it seems not to be available from S&NPC's own site. 4.3 No employee of S&NPC has ever referred to the company's COP without my bringing it up first. 4.4 Point 3 of the COP states: "Lessees and representative bodies will be consulted before any changes are made to this code". At no stage have I, as a lessee, ever been told that the COP exists let alone been asked to comment on proposed changes. BII and FLVA are the examples given of representative bodies who may be included in consultation. BII is not representative of lessees and FLVA is funded entirely by fees paid by pubcos. 4.5 Point 7.2 "Making Commitments" States: "it is important that the lessee ensures that written confirmation is received from S&NPC whenever they believe that a specific commitment has been made. This is vital to avoid any misunderstandings later. 4.6 The COP has been revised since 2010 but there is no evidence that it has been distributed to tenants. Its creation and availability is designed to nod in the direction of being in the shop window of an upstanding company than as business reference tool. 4.7 Evidence is that S&NPE employees never act within the spirit or detail of their own published document. Prior to COP, post COP, their behaviour has unwaveringly been the same throughout sixteen my years with the pubco. While their published material is improved and updated their behaviour on the ground does not alter one jot. 4.8 In October 2008 I specifically asked, verbally and in writing, for a COP rent review due to adverse trading conditions. My request was completely ignored. Any further reference by me to the COP has consistently studiously been ignored... the COP's existence has never been acknowledged, except obliquely in a meeting in March 2011 where S&NPC's Regional Director said: "Going back through the paper work, why did you ask for a COP rent review in 2008?" He went on to explain "You understand that a COP rent review is not possible when a rent review is already underway?" 5.2 The COP contains a lot of stuff about Contact and Communication. It reads nicely. The default position with a pubco is NOT to answer queries from tenants unless they are of the most anodyne nature. They only return calls about the least contentious matters imaginable. 5.3 Pubco employees never put anything in writing. Nothing is provided in writing unless it is a legal document that states at the top: "Without Prejudice" and has printed at the end: "I have chosen not to take legal advice and understand my obligations contained in this agreement" and "I have taken legal advice and understand…" tick as appropriate. 5.4 I have thick files full of notes taken during phone calls and meetings I have had with S&NPC employees. I have always followed up calls and meetings by sending emails, and in many cases letters, and sent these to the relevant S&NPC employee for confirmation of agreement. I can honestly say that the normal response is nothing. These communications range from simple confirmation of meeting content through to acknowledging important operational changes to my business where S&NPC have committed to commissioning essential work to the cellar or beer dispense equipment during a refurbishment. Not only do they not reply in writing, they often do not even do what they committed to during the meetings. It is clear that Company policy is that all these communications are routinely completely ignored. 5.5 Calls, emails or letters to anyone at S&NPC, no matter to whom in whichever part of the organisation, whether it be credit control, property, operational issues or legals, are generally ignored - unless it is to do with your paying them money. And if it's to do with your NOT being able to pay them money, there is nothing they can do - they will not discuss. 5.6 There is no recourse to this train of events because, quite simply, there is no one to turn to. There is an internal complaints process. Making complaints to apubco is like throwing tissues into a bottomless waste bin. 6.1 Point 11.3 of the COP states a whole lot of important things about how S&NPC will respond to "issues". Not a word of it is even remotely adhered to. When an Area Manager has failed to do something as promised their line manager takes their side. When dissatisfied with the response of the line manager there is no one else to refer to. Call head office: "We do not give out the numbers of people further up the business". When you write to the Managing Director, the matter is always referred back down to the regional team who then tell you that such communications are "not helpful" but that they will try to get the relationship back on a firm footing. Get in touch with the overall Chief Executive about the whole "issue" and, eventually the Regional Director will say "there was no need to get in touch with him". And nothing ever changes. 6.2 My local MP is Harriet Harman. In an attempt to gain some traction in the "issue" stakes I corresponded with Harriet about my 2005 rent review and the actions of S&NPC. Harriet kindly wrote to the MD of S&NPC and got a reassuring response from the Commercial Director which told her that nothing was at issue and there, essentially, was no problem. Working with this unending reality is a thoroughly intellect and life sapping process. 7.1 There are no countervailing benefits. It is all "what's yours is ours and what's ours is… ours". 7.2 At this time of year the value of my weekly beer order through S&NPC is around £2,000. If I pick up the phone and make an order for exactly the same products and quantities of beer from a local wholesaler, the bill is £1,300. 7.3 When I place an order with S&NPC I have to pay for the beer three days before delivery. It is called Cash With Order. I can readily get thirty days' credit through a local wholesaler. If I were able to negotiate an annual supply deal the beer would be substantially cheaper through the wholesaler. 7.4 Typical of the sector is the level of rent set for tied pubs. It is a myth that tied pubs are let cheaper than free of tie. My pub in Camberwell is in the middle of three of the most socially and economically deprived wards in Britain. I have one of the most difficult catchments of any pub but I have always managed to attract custom because I am an exceptionally good operator (as told by S&NPC). My current rent is £65,000 a year. The rent on a free of tie leased pub, The Vale, local to me in East Dulwich (this type of pub is few and far between) with a hugely wealthier catchment, within a few seconds' walk of a busy commuter rail station is £58,000. 7.5 Last year S&NPC began taking £450 a week through Direct Debit from my bank account in an attempt to force me to repay the back rent owed from the 2005 review. They did this without consent, without warning, without reference to me. I cancelled DD payments and demanded to be reimbursed. They point blank refused. They then stopped delivering beer - even when I had paid for it in advance (£2 or £3,000 a week) because I would not pay the £450 against the rent. I told credit control these are separate issues. One is trade, one is property. I was told they can do anything they want with the accounts. This was a lie. This happened every week, for months. A fight every Monday over getting beer. The disputes meant that payment would be delayed and the beer deliveries would not be made on the normal Thursday run. They would not deliver on Friday unless I paid £150 to have it delivered outside then normal run. If I do not have beer I cannot trade so I'd pay the delivery "fine", make a note of it, and carry on the dispute with Regional Director. 7.6 S&NPC sent bailiffs to my pub because I had not paid rent on DD. The reason I had not paid rent was that someone at S&NPC's accounts department had tapped in the wrong digit on the DD call and it was rejected by their system. There was more than enough money in my account but nonetheless the bailiffs had a demand for £6,000 plus £400 for their costs and they would not leave, even when someone at credit control told them it was a mistake. They were at the pub for four hours on a busy Friday lunchtime. They made an inventory of everything on the premises, telling my customers and staff that I had defaulted on the rent. I complained about this action to everyone from Area Manager to Managing Director, asking for a letter of apology that I could use to reassure my employees that their jobs were not in danger of being lost; no one ever got back to me, no one apologised. The Area Manager said it was a mistake but they always send bailiffs in when a tenant defaults "to protect the company's interests". He even told me, "it actually is your responsibility to make sure that you pay the rent on time". I had never missed a rent payment before. Not once. 8.1 Since I signed my lease in 1995, in fact, I have never been more than two weeks away from bankruptcy. This is what happens to the majority of tied lessees. The only ones who survive are those whose business far outstrips even the pubco's dreams of "Fair Maintainable Trade", they make rubbish margins because of the tie but are cash rich. I've been stuck in the middle, in an awful ground hog day limbo, lasting this long because I have managed to duck and dive, rob Peter to pay Paul for all these years solely by dint of my business having strong cash flow and by learning, of necessity, how to navigate through impossible financial odds which now, as recently published in the pub industry trade press, put the majority of tied tenants in the position of being out of business within two years of signing their tied lease. 8.2 The above is a fleeting glance into the shadows of the darkness that lies in the business practices of the pubcos. In truth the experience, skills, talent, hard work, vision, cash and determination to succeed which I brought to this business have earned me nothing other than a steadily accumulating mountain of debt, a broken relationship with my partner of seventeen years, and imminent bankruptcy. For the last six years I have earned nothing directly from my business. My partner and I survived only by being paid Working Family Tax Credits and from undeclared income gained by renting out the flat above the pub against the terms of my lease. No wonder my partner left me and took our two boys with her. I had a tied lease from 25 September 1995 until 22 September 2011 when I was evicted . The lease was with Inntrepreneur initially, then Scottish & Newcastle Pub Enterprises (S&NPC) who bought 300 pubs from Inntrepreneur, (at an insane average price of £660K from recollection) with the supply tie intact and all those tied tenants, lock stock and barrel... S&NPC was later sold to Royal Bank of Scotland under a lease back and management deal and later was sold to back Heineken - and is now called Star Pubs and Bars. Punch is as bad. We had our 3rd 10 year lease coming up for renewal with the obligatory rent rise, which we couldn't afford. We asked our bdm what would happen if we didn't sign and he said On Jan 1st you'll be out. We said Ok if we sign and find trade dosnt pick up, can we have a rent tribunal? He said Yes. Over a year later, trade hasn't picked up and the rents already gone up another £400 due to the yearly cost of living index so we asked for a rent review. They said we couldn't have one as we should have had it before we signed another 10 year lease. We've tried to complain about the total w****r who deliberately lied to us, but they've closed ranks and he's got away Scott free! Punch call us partners- how can we be partners when we do all the work and they take all the profit leaving us with nothing. This is our home and it's been our business for the last 24 years. We've proved we can do it but has it earned us any respect? Has it hell! Like you say we work 24/7 for nothing, just the love of the job. Anybody who ever considers working for a pub co wants their head looked at as they've virtually no chance of making it work. It's nothing like when we entered the trade nearly 25 years ago. Can you give me any advice on which are the best tasting beers from pubco? Simply for the purposes of choosing one to kit out the cellar? I am also game for paying for my own cellar but that is extremely difficult to find an installer who isn't brewery tied. Strange question - look at the global brands that are on all the pubco's profiteering pricelists - they all taste the same, category by category, they are designed to be as bland and non challenging as possible. When it comes to ales that DO have flavour you have to try them and get to understand what your customers prefer... And be prepared pay £40-£6 more than you would if you were buying caskse free of tie. There is not much of a free market out there in the pub sector at any level. The One Show are doing a feature on #Pubs soon and looking for groups / individuals who've turned a pub round, saved it and made it thrive again, or who are trying to save, or have lost their pubs forever. They want to hear YOUR story. A great chance for some publicity here. Get in touch with them! Whether you've recently lost your pub, it's under threat or you've managed to club together to save it, please get in touch and tell us all about it. I have a free house. How much should I expect a brewery to offer as a listing in order to compel me to stock their majority brands for 12 mths? It's not about compel it's a willing agreement to sell particular products in return for support. You can take your business wherever you want. If your business is good you will find suppliers wanting to associate their products with your business and you will be able to agree a better deal than if they are not interested in your business. I am not with a pub co, so I can choose where I buy my stock. The rent is just over £9,000 a quarter, and the pubs turnover is around £100,000. My husband and I run the pub ourselves as we cannot afford to pay staff wages. After 8/12 years there is no money to pay the rent. On Friday the owner said that if we are unable to pay the rent we should steam clean the pub, hand back the keys and leave in a weeks time. In return he will tear up the lease. I am unable to rent privately because all the agents want a copy of your accounts. The local authority will not consider housing us without a court order. I have custody of my 3 grandchildren (5yrs 4 yrs & 2yrs). I have also been told I might have cancer, I go in for major surgery in 5 days time. I am also carer for my adult daughter who has schizo effective disorder. I really don't know what to do, I definitely can't move out in a week as we have nowhere to go. I am really worried they might turn up, turf us out and change the locks. Marie I'm terribly sorry but I completely missed your post and I only found it awaiting moderation today... which is Tuesday 23 August 2016. OK let's get a few things clear. 3. The profits a tenant should be able to make should be equal to the rent charged by the pubco and should be sustainable. 5. If the business plan is done correctly it will with out doubt show if the business is viable. 1.The incoming tenant always believes they are better than previous chap. 3. The business plan is normally inadequate. And prospective tenants do not realise if you state in your business plan you can turnover £6,000 per week the pubco will take you at your word, this becomes part of the contract. 4.The business plan is a live document and should be re-visited on regular occasions. My experience is that i act as a independent accountant to the pub trade and have run several tied agreements with different pubcos. My advice is always get in independent trade experts before you sign any sort of agreement. One key bit of advice to always remember. Be prepared to walk away. You can always find another pub. 1. The pub companies will always may more money than the tied tenant. REALLY? It's never as straight forward as that. If it were only fools would sign up to tied leases. 'should' almost never is what happens. The Divisible Balance is what the pubco wants in rent. They make that their benchmark. The Divisible Balance rarely leaves anything to be shared with the tenant. The Pubco takes all. 4. Rent is always negotiable. This is a pretty bluntly wrong statement. No; rent is NOT always negotiable. IF it were there would be a landscape with well invested pubs dotted all around it. Rent isn't always negotiable, at all. Correct. But that is so rarely relevant to reality; Try making a correct business plan when the input data is mis-reprentations by a lying cheating, scamming self serving pubco and its employees whose livelihoods are dependent on the asset stripping of the tied pubs they are flogging to death.